Huge riches and rising city population started large infrastructure projects - aqueducts, roads, bridges, which were all possible by a new form of concrete perfected by the Romans. 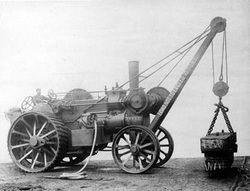 During the time of the empire, access to adequate supply of clean water was one of the largest constraints on a city. 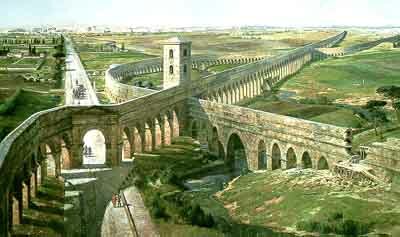 The system built by Rome used 11 aqueducts running into the city from nearby springs and reservoirs, crossing 46 miles of hills and valleys to create the first ever flowing municipal water supply. 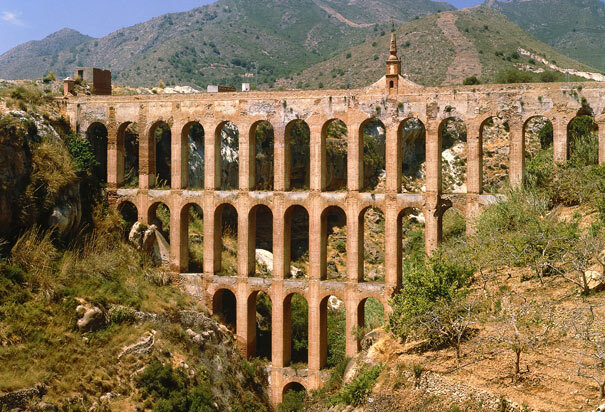 And their secret to these impressive aqueducts? The Romans had perfected a new building material: concrete. The main ingredient in this concrete was volcanic ash, and while less durable than today's concrete, it had an amazing resilience over time. It is believed that the ash’s unique mix of minerals helped the concrete withstand chemical decay and damage. Roman soldiers were trained as road builders as well, and during the time of the empire, they built over 53,000 miles of roads using this same concrete. Learn more about the Roman road system.